WHY ARE THE UNIT TITLE DISCLOSURES IMPORTANT? The sale and purchase of a unit title property is different from a standard freehold property because there are certain added disclosure obligations on the seller. 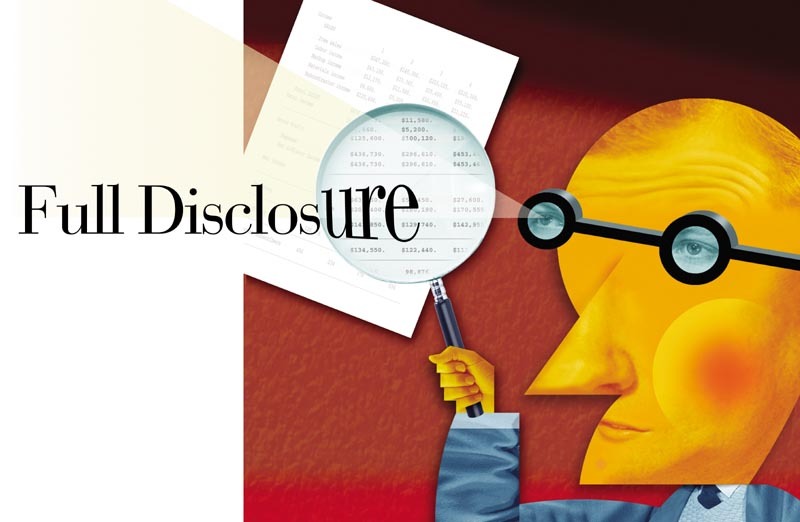 These disclosures provide valuable information to purchasers. From the seller’s perspective, this is important because failure to provide compulsory disclosures in the time required can allow the purchaser to delay settlement or even cancel the contract. From the purchaser’s perspective, certain additional inquiries can and should be made when considering whether or not to purchase a particular unit title property. To help avoid buying a ‘lemon’ ‘additional disclosure’ should be obtained before the purchaser signs the contract because the information disclosed may affect your decision to purchase. If problems are revealed through additional disclosure obtained after the contract is signed the purchaser will not necessarily be entitled to cancel the contract on that basis. For purchasers, see the end of this information sheet for examples of important additional disclosure information that could influence your decision to purchase a particular unit. The requirements for disclosures are set out in the Unit Titles Act 2010 (the Act), regulations under the Act and the standard terms of the Agreement for Sale & Purchase published by the Law Society. Both compulsory disclosures and optional disclosure (at the request of the purchaser) are provided for. The compulsory disclosures are the ‘pre-contract disclosure statement’ and the ‘pre-settlement disclosure statement’. The purchaser has the option of also requesting an ‘additional disclosure statement’. The estate agent (on the seller’s behalf) will hand this disclosure statement to prospective purchasers at the time the unit title property is being marketed for sale. Usually the estate agent or the body corporate secretary or manager will prepare this disclosure statement. However, it remains the responsibility of the seller to ensure both that the purchaser receives it before signing the contract and that it is signed by the purchaser. In the case of a private sale, the seller will need to provide it to the purchaser. The pre-contract disclosure statement sets out prescribed general information about unit title ownership, as well as some limited specific details such as the amount of the current levies for the unit, current maintenance intended for the development and whether the unit, the buildings or common property in the development are or have been the subject of any weather-tightness (ie. ‘leaky building’) claims or court proceedings. Sometimes in the case of smaller unit title developments there is no body corporate secretary or manager. If so, this needs to be addressed promptly so that alternative arrangements are made to ensure that the pre-contract disclosure statement (and the other disclosure statements) are prepared and delivered to the purchaser in the time required. The seller (or the seller’s lawyer) must provide this disclosure statement to the purchaser (or the purchaser’s lawyer) no later than the fifth working day before the settlement date. If not provided within that time the purchaser may delay settlement or, in some circumstances, even cancel the contract. This statement is usually arranged by the seller’s lawyer from the body corporate secretary or manager. Its purpose is to give the purchaser a summary of, among other things, the current levies relating to the unit, whether the owner is in arrears, whether there are any proceedings pending against the body corporate and whether any repair costs are owing by the owner. A pre-settlement disclosure statement comes in two parts; the statement and a certificate. The statement must be signed by the owner/seller and the certificate must be signed by the body corporate. The certificate certifies that the information contained in the statement is correct. The body corporate secretary or manager will charge the seller for the preparation of this statement/certificate. However, if the owner/seller has unpaid levies the body corporate may refuse to issue the required certificate. Again, if there is no body corporate secretary or manager then the seller must make alternative arrangements for this disclosure statement to be prepared and delivered in the time required. The seller must provide this disclosure statement only if requested by the purchaser. The purchaser must pay all reasonable costs associated with providing it. If it is requested, the seller will usually arrange for the body corporate secretary or manager to prepare it. The purpose of an additional disclosure statement is to make available to the purchaser further information not required to be disclosed in the pre-contract or pre-settlement disclosures. It discloses various body corporate records including the balances of every fund operated by the body corporate, amounts owed to/by the body corporate, current body corporate contracts, records of the last general meeting of members (including resolutions passed), a summary of the long term maintenance plan and, if there is a long term maintenance fund, the current and estimated future contributions to it intended to be levied from the unit owners. In addition, although not compulsory for the seller to provide, we recommend that purchasers at the same time also ask for copies of the body corporate general meeting minutes and body corporate committee minutes for the last 3 years. Why? See the examples below. The purchaser can request an additional disclosure statement either before entering into the contract or before the fifth working day after the date the contract is entered into. If a purchaser makes this request within this time, the seller must provide the additional disclosure statement within 5 working days of receiving the request. In this case also, if the additional disclosure statement is not provided within the time required then the purchaser may delay settlement or, in some circumstances, cancel the contract. Again, if there is no body corporate secretary or manager then the seller must make alternative arrangements for this disclosure statement to be prepared and delivered in the time required. Body corporate committee minutes may reveal that the unit, building elements or common property are suspected to have weather-tightness (ie. ‘leaky building’) problems (as opposed to weather-tightness claims or proceedings actually made or in progress, which should be disclosed in the pre-contract disclosure). Although not ideal, alternatively a purchaser could insert a specific condition in the purchase contract before signing making it conditional on receiving and approving an additional disclosure statement (including copies of current and historic body corporate and committee resolutions). However, we recommend that purchasers obtain and assess this information before signing the contract because doing so may avoid un-necessary legal costs. Other steps purchasers can take: There are other additional steps a purchaser can take to reduce the chance of buying a ‘lemon’. Including in your purchase contract a builder’s report condition and a LIM condition can help. But we’ll cover that in another Atticus Legal information sheet. 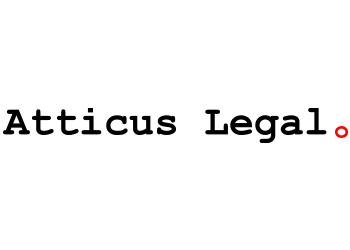 CALL ANDREW SMITH, the owner of Atticus Legal, for expert professional advice on any of the matters referred to in this information sheet. TO RECEIVE FURTHER INFORMATION SHEETS FROM ATTICUS LEGAL please ‘like us’ on Facebook to ensure you receive our future posts. Disclaimer: The information contained in this information sheet is, of necessity, of a general nature only. It should not be relied upon without appropriate legal advice specific to your particular circumstances. This information sheet is copyright © Atticus Legal, February 2016.